November 2, 2006, RFE/RL -- The head of the Russian military's general staff, Yuri Baluyevsky, today said Iran does not have the technological means to create intercontinental ballistic missiles. "According to our information, today Iran has no technological or technical capabilities to develop an intercontinental ballistic missile," he said. Intercontinental ballistic missiles have a range of more than 3,400 miles. Baluyevsky's comments came shortly after Iran today reportedly fired its longer-range Shahab-3 ballistic missile for the first time. 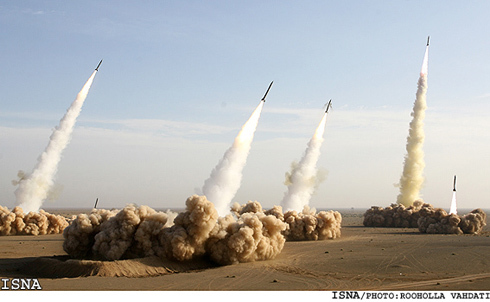 Experts believe the Shahab missiles have a range of up to 1,240 miles. The missile test came at the start of 10 days of military exercises, expected to involve maneuvers in the Persian Gulf and Sea of Oman. When asked whether the Shahab-3 missiles posed a threat to Russia, Baluyevsky responded: "That depends on which direction they are sent."